Have a question? Are you a past client interested in getting your horn repaired? Want to buy something on the site but you’d like to chat first and see if it really is the best fit for you? Want to see about selling or trading your saxophone to me? MY CURRENT AVAILABILITY: I am currently only accepting previous clients and locals for repair services as I am fully booked. I apologize for the inconvenience! Please feel free to call if I can help with advice. I VASTLY PREFER PHONE CALLS for general questions. Email will take a while for me to answer- reason being that I work with my hands, so answering e-mails is done during non-work hours, which I try to spend not working. For phone calls, if I have a hand available, I typically answer the phone between 10am-5pm EST Monday through Friday. Leave a message if I don’t pick up and I will get back to you. My number is 919-901-1191. If you do send an email, include a phone number in it to vastly increase your chances of a timely response from me, and if I respond through email, chances are it will be a curt/clipped response simply in the interest of time. If you are interested in a trade or selling me an instrument, please do email, and send as many high-resolution photos as you can. I work from my home in the countryside outside Durham, North Carolina USA, and I do ship internationally. I do not have a physical store, and my repair shop is private and by appointment only. If you’ve bought a sax elsewhere and want me to take a look at photos to see if you got a decent deal, sorry, I can’t help you. 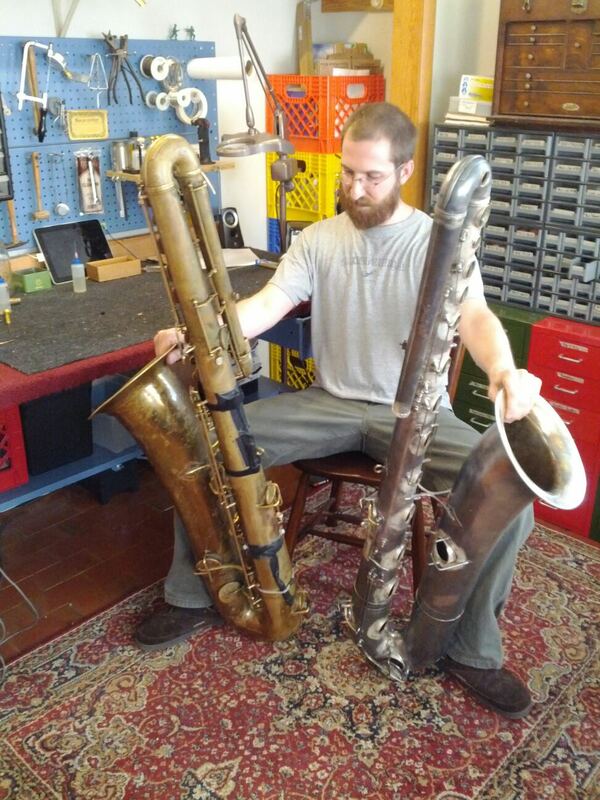 It takes about an hour for me to evaluate a saxophone based on photos alone- if the photos are even good enough and usually they aren’t- and the results are not guaranteed anyways. I get asked 5-10 times per week, and I simply don’t have that much time to give away for free. If you want to pay me my shop hourly rate AND you’ve got tons of super great photos, I can give you an opinion but frankly you’d be better off taking it somewhere in person for an examination if you have the ability. Phone: 919-901-1191. I do not respond to texts, facebook messages, etc. Just calls, and less regularly emails. Its too hard to stay organized otherwise.